In recent years however these questions have taken a more practical turn given that, while holodecks and pensieves remain pure fiction, virtual reality systems not only exist, but can be purchased for personal use. While I do not want to overstate VR’s current level of sophistication or prevalence in society at large and within the field of history, the fact remains that there are already historically-oriented virtual reality programs being published by historical institutions and private companies. As a public historian in training, I would like to propose a research project which investigates the presentation of history through this fledgling form of digital media. Virtual reality currently exists in an extremely limited form. Headsets are too expensive for most people to purchase for personal use, practical concerns abound when it comes to how exactly to use them without tripping over your feet and into your coffee table, and designers are still experimenting with how to effectively link the wow factor of putting on a headset for the first time to engaging gameplay (for lack of a better word). Still, even in its current form, V.R. is an incredibly fascinating form of digital media. A cursory search through the virtual aisles of digital game and software platform Steam reveals more than 3,000 games/stories/simulations covering a wide variety of genres that are made for use with a virtual reality headset. Beyond its uses as a medium of entertainment however, what is most interesting to me is the small number of V.R. programs dedicated to transporting the user into the past and presenting a historical narrative. Some, like VR Battleship YAMATO, offer users relatively fixed experiences within a single historical setting. 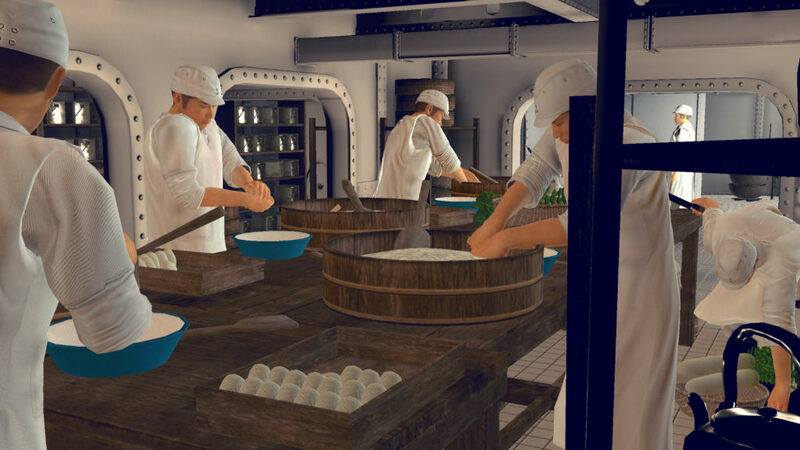 The goal in the case of YAMATO is simply to offer a virtual tour through a WWII era battleship from the perspective of a crew member. Others, like the harrowing DeathTolls Experience created by research scientist and digital artist Ali Eslami, seek to humanize data on the casualties of “terrorist attacks in Europe, refugee deaths in the Mediterranean Sea, and the human cost of the Syrian civil war” in an effort to provoke an emotional response from the user where traditional media has been unable to. For public historians, recent efforts by the Historium Bruges in Belgium to incorporate V.R. into their own programming offer a potentially interesting window into how new forms of digital media are being used in the field. The museum itself contains an on-site exhibit equipped with virtual reality headsets which guide visitors through a digital tour of medieval Bruges. In addition to its on-site programming, Historium Bruges has also released its own purchasable app for use at home, though I am not certain whether it is the same experience provided on-site. Historium Bruges’ Trailer for their Virtual Reality Exhibit, which they established in 2016. Though a nascent medium, virtual reality poses an interesting avenue for historical education and user experience. It is a medium of great potential, one which, like many other forms now considered mainstream, holds its fair share of practical and ethical concerns. What kinds of narratives are being told through V.R.? What are the strengths and weaknesses of such a presentation? How can historians employ this medium effectively and ethically? Can difficult history be approached in an ethical manner through virtual reality, or does the nature of the medium itself hold too great a risk of rendering such history into spectacle? Can it ever be more than an interesting gimmick if access to the medium is limited by the high price of owning a personal headset and computer capable of running published simulations/games? Are there any institutions that have incorporated V.R. as Historium Bruges has attempted to? Screenshot from VR Battleship YAMATO (2017). In terms of project structure, there are some obvious limitations and difficulties associated with investigating V.R. as a medium. 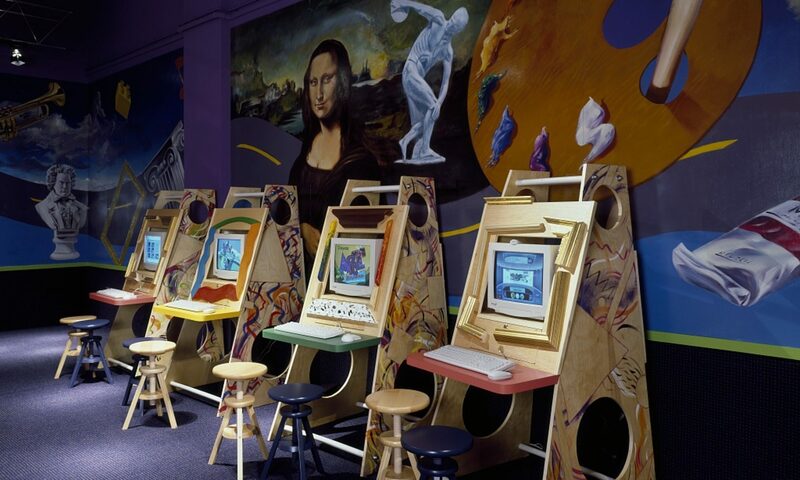 As I do not own a headset, and as I can neither afford to buy one or travel to Bruges for a quick visit to the Historium, I would need to rely on what videos I can find to consume the content of a simulation/exhibit/game itself. Furthermore, I am unaware of any major historical scholarship dealing with the subject, though there has been a great deal of journalistic coverage of V.R. over the past few years. Given that the medium itself is still in its infancy and, at the moment, seems to be driven primarily in an entertainment oriented direction, the number of historically-oriented experiences for me to examine are also limited. In addition, those that do exist deal with a wide variety of historical subjects and periods on which I am far from an expert. In that sense my investigation would, by necessity, take more of a methodological/public history approach more concerned with practice and presentation than with the historical content itself. I welcome any and all constructive criticism and suggestions! One interesting development in VR – which I remember hearing a lot about a few years ago but I haven’t heard much about since – was Cardboard, which was a very simple (and cheap) device that helped turn your phone into a VR viewer. The New York Times sent out a whole bunch of these devices which, combined with videos on the NYT app, allowed a user to “experience” an NYT story in VR. I remember one story centering on someone who fled from the genocide in Myanmar, so in at least this case they weren’t afraid to approach difficult topics through virtual reality. Exploring uses and possibilities for virtual reality systems for historical interpretation is an interesting and timely topic. Given that it isn’t going to work to visit the museum in Belgium, it seems like it might be a good approach to try and identify a series of different VR interpretive history apps and do some comparison and contrasting between them. That way you could get a bit more breadth to the research and avoid some of the limitations that come from not being able to visit the museum itself. It would be particularly useful to try and pick apart some of the hype that these things are being pushed with and then try and connect that with the realities of the experiences. It would seem like you would want to actually try out these things to engage in criticism of them. So if you did want to try and do this project, you might consider seeing if the university library or some other department has some of them on hand that you could check out or otherwise try. Next PostNext Is it Straightforward?